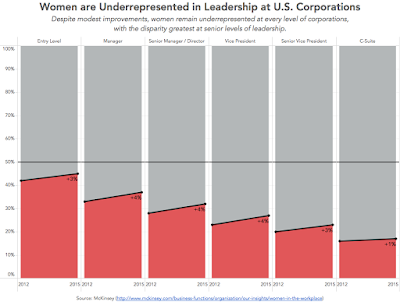 The chart for this week’s Makeover Monday is an excerpt from Women in the Workplace, a study undertaken by LeanIn.Org and McKinsey. 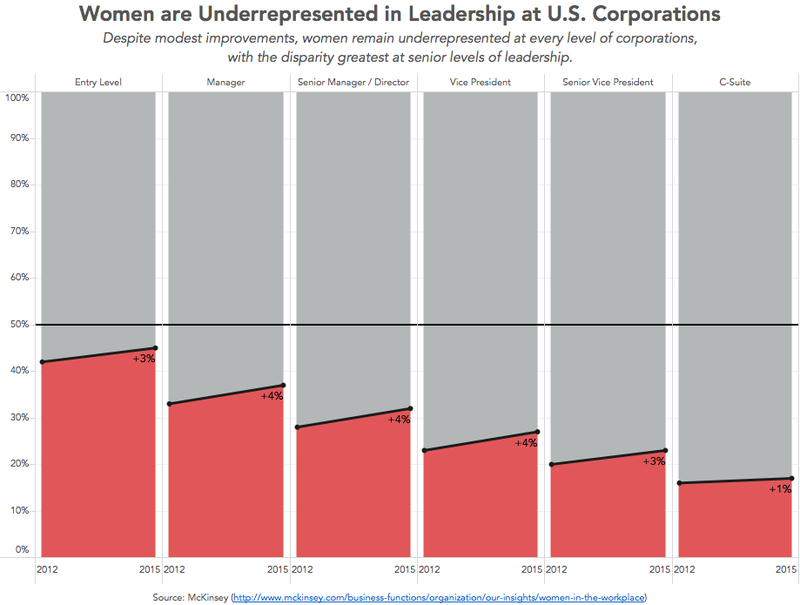 The chart tells a powerful story of the decreasing representation of women as leadership levels increase. Using red for women draws the eye to those portions. The table allows you to compare to 2012. 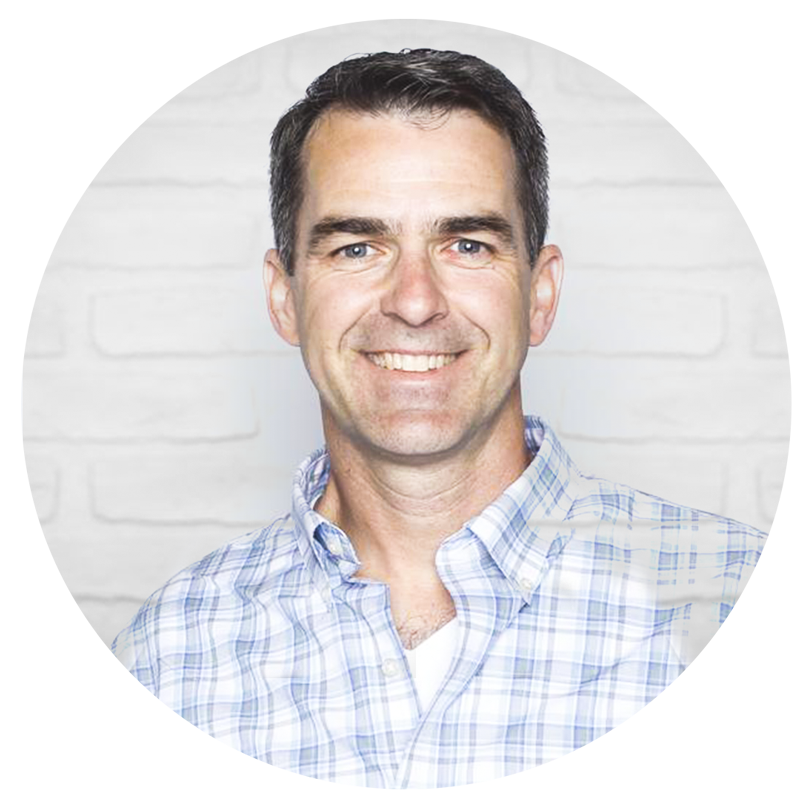 The pipes are ordered from lowest-level role to the highest-level role. 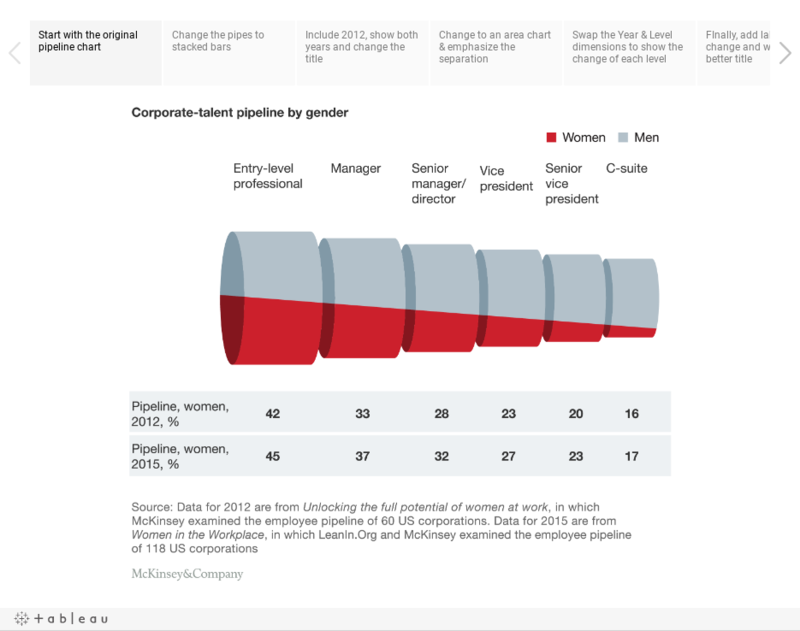 They took the “pipeline” analogy too far by creating a "pipe chart". The pipes get smaller as you go left-to-right. I can only guess they are sized by the % of women in each role. The pipes are filled up on an angle, making it way to difficult to gauge what percentage it represents. It’s nearly impossible to compare one role to another. The title could be more impactful. Do the pipes represent 2012 or 2015? There’s no way to tell. The chart doesn’t allow for comparisons between 2012 and 2015. Basically, I think this chart is horrible. It’s quite possibly one of the worst I’ve seen in a long time. This isn’t about the author the person. Clearly they aren’t educated in data visualisation. I’d bet they working in marketing. 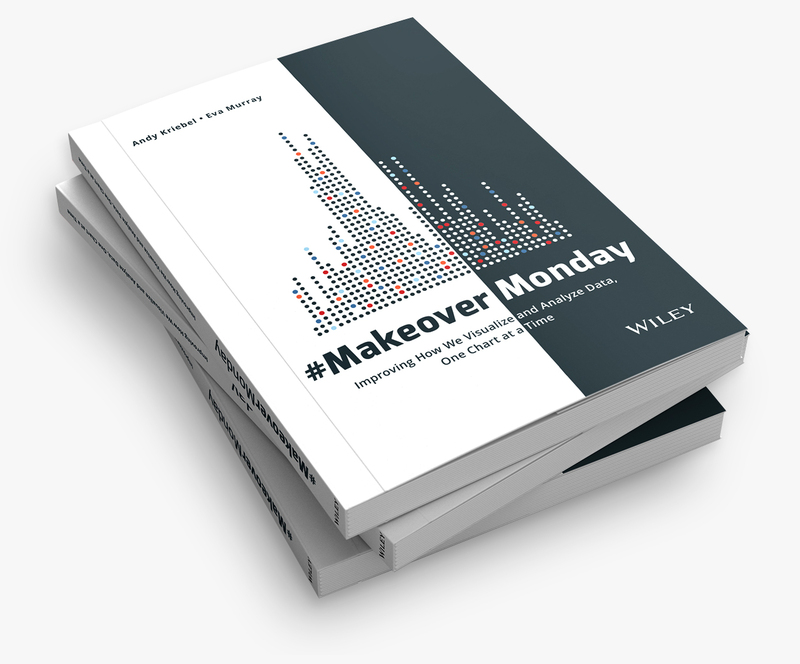 Again this week, I used Tableau’s story points feature to show my step-by-step makeover. This week was pretty quick. I was able to iterate through all of this in under an hour. As a stand-alone version, I would make the chart slightly taller, like this one below. Click on it for an interactive version.